Kitchen Cabs Direct provides the best wholesale countertop prices in New Jersey. We’re not satisfied with your countertops until you are. Do you need countertops at wholesale prices? Call Kitchen Cabs Direct at (201) 655-2240! At Kitchen Cabs Direct, we provide the best wholesale prices on countertops in New Jersey. 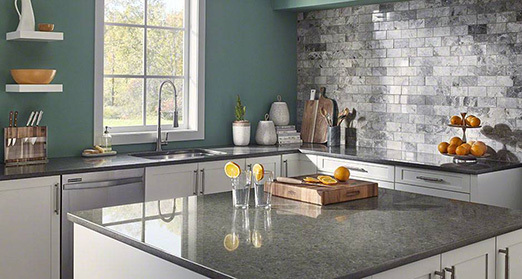 There are with so many options available, finding the right material, style, and color of kitchen countertops can be confusing. At Kitchen Cabs Direct we carry several different varieties. From all natural marble to engineered stone, we carry a wide assortment. Our countertop material can be cut to fit just about any size and configuration of kitchen too. To get the “special pricing” at many retailers, you must make your selection from and handful of available sizes, shapes, and materials. Customizing the size and shape is often an extra expense. But at Kitchen Cabs Direct, we offer our materials with out-the-door-pricing. From the cost of the countertop material to the shape and fitment, we include everything.